Food, drink, and fun in my city- San Antonio, TX! I’m just going to get this out of the way now- The Clean Plate is one of my all time favorite restaurants in San Antonio. I don’t know why they picked the name but I suspect it has to do with either the fact that it’s a farm to table restaurant that only uses locally sourced, non-GMO food or that their food is so good you will literally clean your plate. Probably both reasons right? Ok, now a bit of bad news. Their ridiculously delicious fried chicken is not currently on the menu. This stuff is seriously the best fried chicken in SA. It was two large pieces of juicy, fried chicken served with smashed potatoes, the best glazed carrots I’ve ever had in my life and this wonderful tarragon cream gravy. Keep an eye out for it to show up on the menu again and then get there as quickly as you can to try it out! The good news is that it has been replaced with a chicken fried steak that made up for all of the sorry chicken fried steaks I’ve been subjected to. 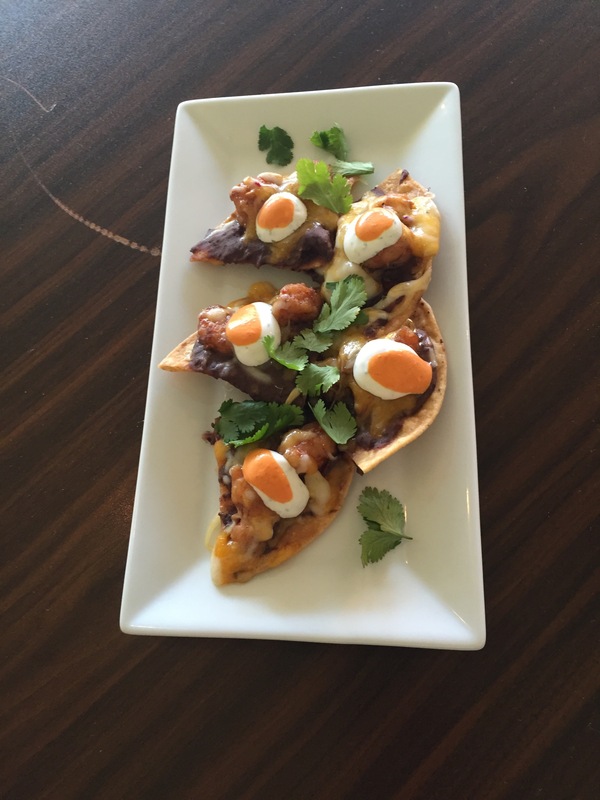 Lil Emma’s shrimp nachos as a starter- chipotle, black beans, cilantro cream, cheese. The menu here is small but packed with so many delicious options. You won’t be disappointed with anything you choose. There are so many rave reviews about the Mac and Cheese as well as the Gua Bao (braised Asian pork belly in a steamed bun) and those reviews are right. If you go with a group, order a few appetizers to share with the table. You also cannot go wrong with the Spaghetti Bolognese. It sounds like a simple dish but there’s something about the meat sauce that really makes it more than just a bowl of spaghetti. I haven’t had the waygu burger myself, but Jonathan is a fan. 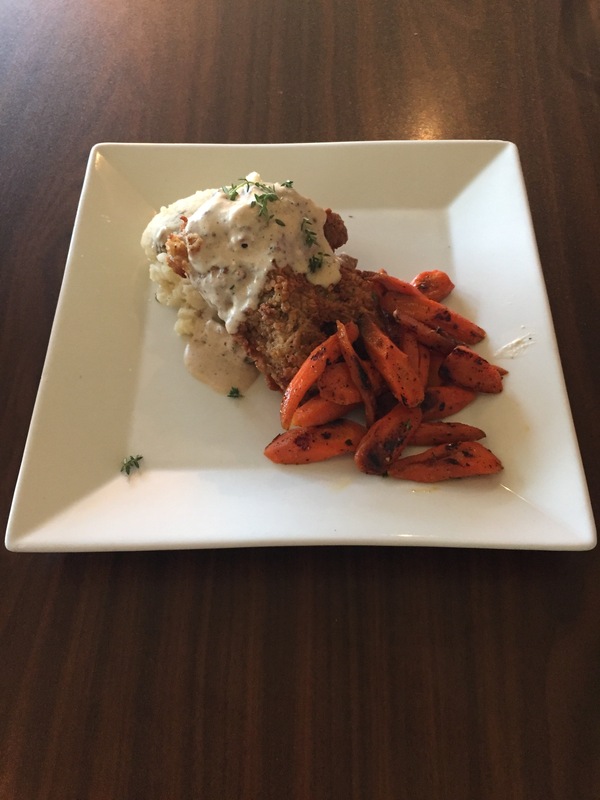 Chicken fried steak with smashed potatoes, glazed carrots (of my dreams) and bacon cream gravy. On top of how awesome their food is, the waitstaff is amazingly friendly and helpful. Don’t let the tiny little building throw you off- good things come in small packages! Find some time to stop by while we are still having this nice, mild weather and grab a table on the patio. 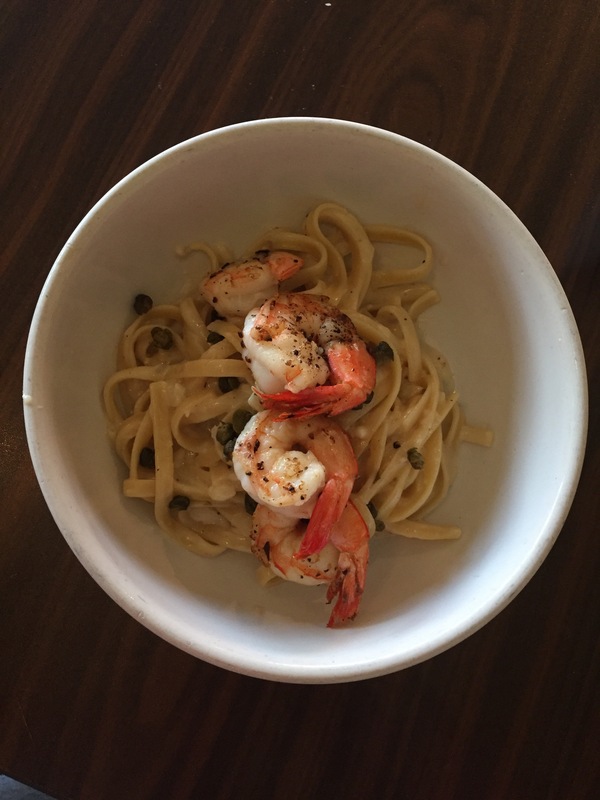 Fettuccine Alfredo with grilled shrimp. Pro-tip #1- The Clean Plate does not serve alcohol BUT they are totally BYOB friendly. Bring your own wine then sit back, relax, and get ready to enjoy your evening. Pro-tip #2 – I hear lunch time during the week can get pretty busy so it might be best to try this place out for an early dinner or on the weekend. Bloody Mary, Michelada, Oh My! Do You Have Your Fiesta Wreath Yet?